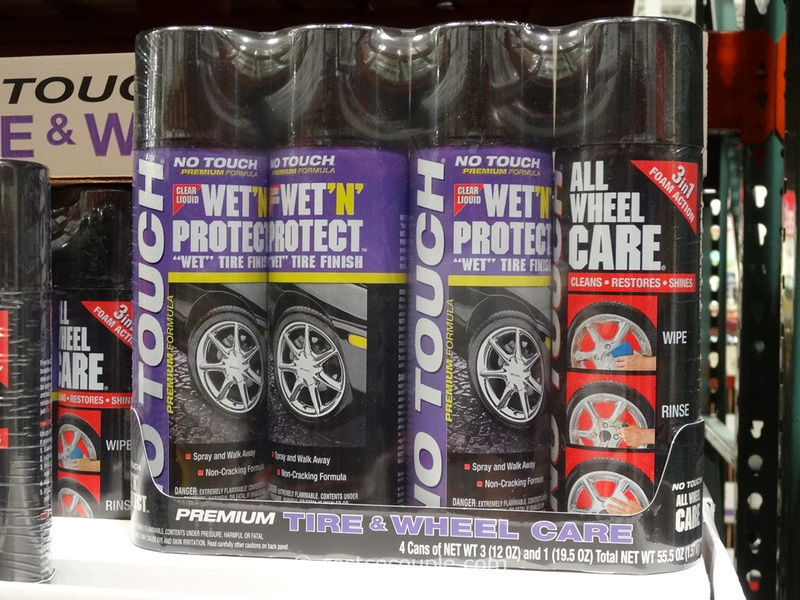 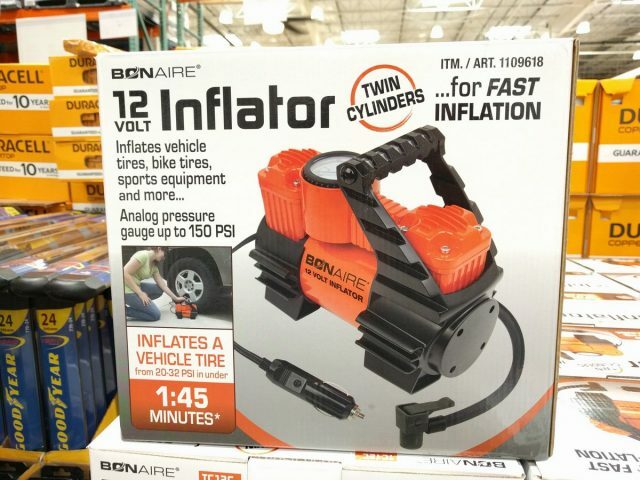 Easily inflate vehicle tires, bike tires, ATV tires, air mattresses, beach toys, etc. 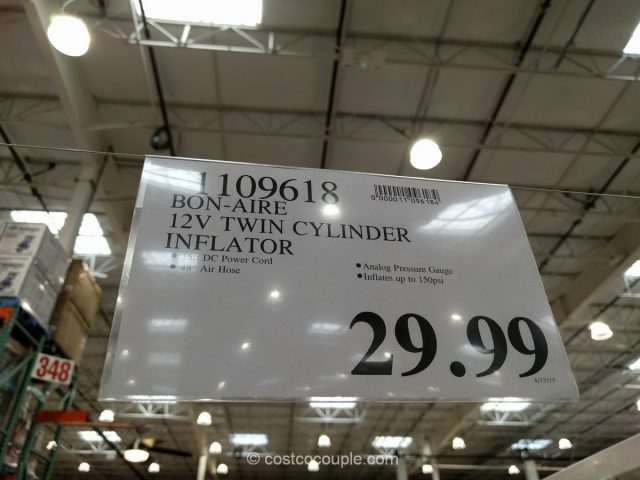 with the Bonaire 12-Volt Inflator. 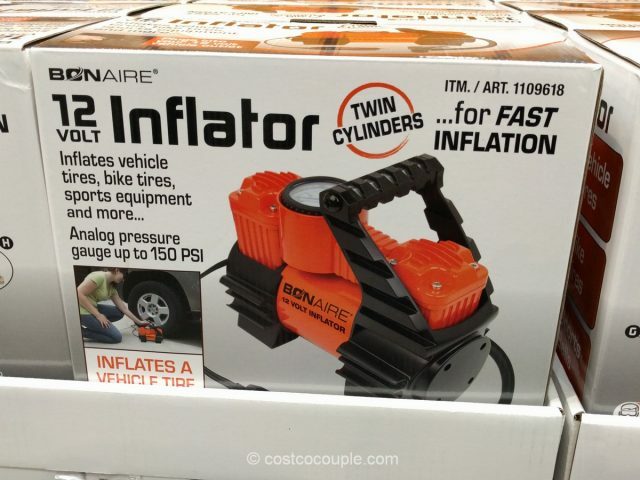 It has twin cyclinders for fast inflation and can inflate a vehicle tire from 20-32 psi in under 2 minutes. 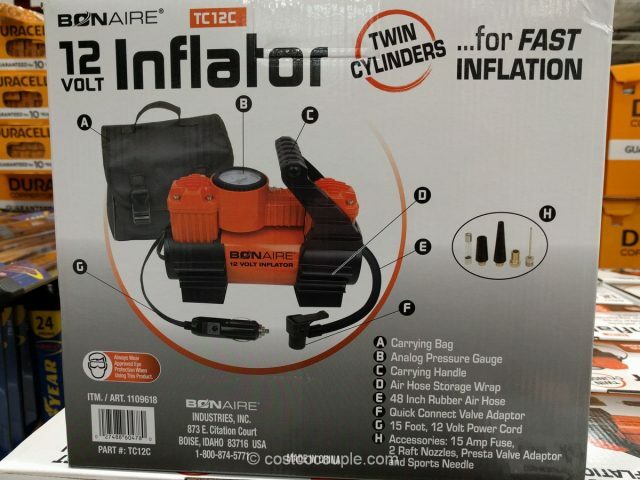 It plugs into the vehicle 12 volt outlet and comes with a carrying bag as well as other accessories: 15 amp fuse, 2 raft nozzles, presta valve adapter and sports needle. 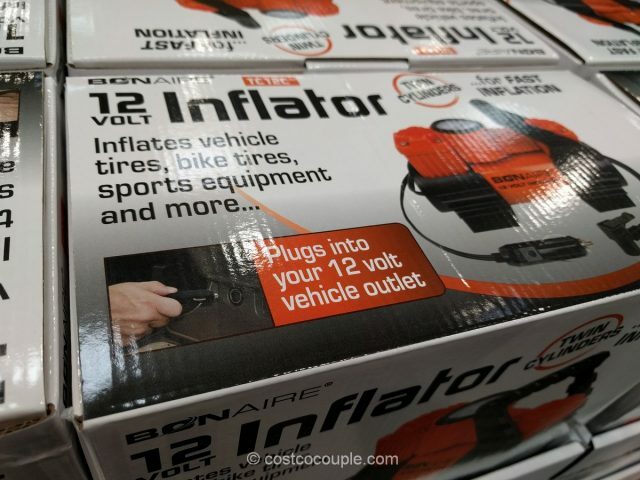 The Bonaire 12-Volt Inflator is priced at $29.99.